I miss him. Haha. He had grown up well after Nirvana in Fire. I find it funny that this drama is so much better than Martial Universe...and I didn't even know it existed till now. The promotion for this drama was so under the radar and overshadowed by Martial Universe. But MU is pale in comparison....from writing to editing. MU is just trash to be honest even though I love it's star casts....I just couldn't bring myself to continue it. Here even though I only know Wu Lei and Baron...and don't really recognize the rest. But that doesn't stop it from being awesome. Unlike MU, even with the star cast like Yang Yang, Wu Chun, and Zhang Tian Ai whom I love....with a crappy script and horrible production and editing....it can't be save. Taking note of the failure of a production company, Azure Production who did Martial Universe. Both originals are from the same author but different companies, different screenwriter and team adapt it in to drama and it's polar opposite in quality. I now know the secret to good drama watching....avoid the mainstream one with full star cast...they are mostly fluff of horrible quality stuff or plague with greed and disappointment. Go for the smaller production like this one that understand how to do things right. And also most of the good dramas only have 45 to 50 episodes. Instead of dragging it to 60, 70 and splitting it up. *Cough Legend of Chusen. *Cough Martial Universe. Greedy bunch. Anyway, Viki is having it sub.....just want to throw it out there for those looking for subtitles. I agree with #litopanda ! I just binged watch all 6 episodes available on Viki. Now I have to wait for new releases and subbing. Why did I start on it so early...lol I don't regret it though. This drama is sooo good. It's not as flashy as MU...but it's ten times better. I remember I was so excited for Martial Universe....what a disappointment it turns out to be. Just decided to watch and I'm impressed. Cdrama Fantasy done right. It feels so good to have trust in a writer and directer to not mess up a drama. Is Deng Lun in this too?! You linked to his thread! I'm gonna give this a try too. I've read the manga and seen the anime so we'll see what changes they've made. I also like Wu Lei in Who's the Key man so hopefully he'll inpress me in this. Since its premiere on 3 Sep, Battle Through the Heavens aka Fights Break Sphere has 1 billion hits in viewership. It's a good sign that this drama is doing well. In TV broadcast, it is doing even better than Martial Universe in ratings. Am I the only one that is actually shipping Xiao Yan and the poison girl, Yixian? i like Xun Er, I do but I find their love story so far kinda boring and flat. While him and Yixian have more chemistry and fun to be around each other. And with His childhood friend I really can't feel any chemistry . I also feel a tragedic ending for her but I hope that's not the case. @xienrue thanks for detailed description I liked to know about it . Please tell me About Lin Xiuya and In Wikipedia Medusa mentioned as One of Xiao Yan's two wives Is it true.? Yes. He marries Medusa first. The relationship is a bit complicated in the beginning with Medusa. I don't remember Lin Xiuya. Guess i have to reread the novel again xD. luckily it's fully translated. When XY is about to absorb the flame in the academy, Medusa ends up in a weakened state and XY ends up more or less in a trance and can't control his sexual urges and rapes medusa. Medusa ends up pregnant. Alot happens and they are separated for several hundred chapters and he eventually return. Medusa has been staying with XY friends and family during this time. XY meets his daughter and marries Medusa in a small ceremony. I've never read the last 200 chapters but i heard when he ascends to Dou Di he marries both Xun'er and Medusa in a large ceremony at the end. Xun'er gives birth to his son. Well then I don't think so in drama there is something like that gonna happen. @RPM Hmm, seems you are quite interested in Lin Xiu Ya . In the novel, Lin Xiu Ya is actually Xiao Yan senior. Jia Nan academy is divided into two: outer and inner academy. The very test that Xiao Yan and the gang were going through to enter the academy is actually test for entering inner academy. But, this is an okay change since there is nothing interesting happen in outer academy. By the time Xiao Yan enter the inner academy, Lin Xiu Ya is already a popular student there. He is one of the highest rank student. 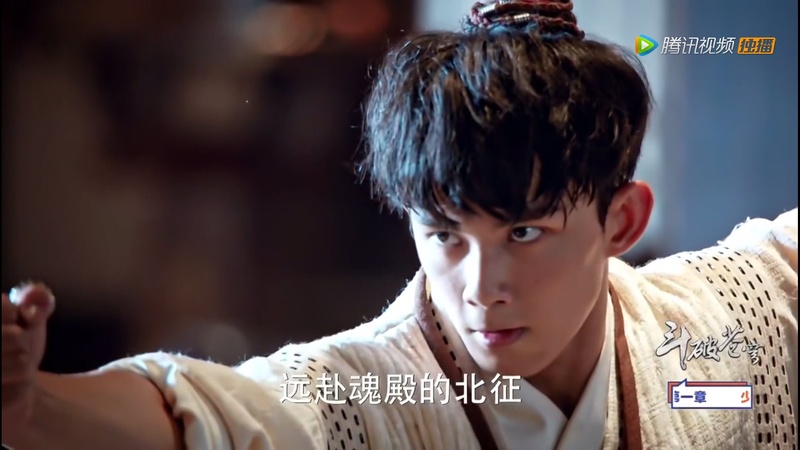 If I remember correctly, he is half a foot into Dou Wang level by the time Xiao Yan enter the inner academy (Xiao Yan is still Da Dou Shi at that time). 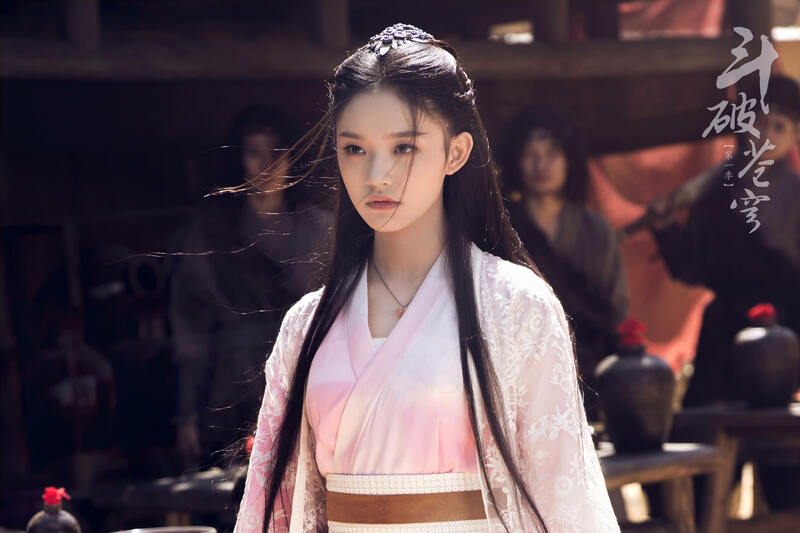 In his time in the inner academy, Xiao Yan befriends a couple of high ranked senior (the highest ranked student comes from Dragon clan and claims that Xiao Yan is under her protection ), which included Lin Xiu Ya. Part is because he helps them out as an alchemist. Jia Nan academy is located near the edge of the Dou Qi continent, near Jia Ma empire where the story starts. The powerful resides in central continent. Lin Xiu Ya clan resides in this location. The family is quite influential, higher in prestige compared with Nalan family but still fall short compared with 8 great family. In the later part of the story, unfortunately Lin Xiu Ya is not really an important character. Especially after the 8 great families are introduced (Yao, Gu, and Xiao are parts of them). Actually there are a couple of women that share one sided love with Xiao Yan. Xiao Yi Xian is one of them. Xiao Yi Xian was born with an innate condition called "woeful poison body". By time, a person with this condition will kind of exploded and could kill large number of people around them and themselves (by poison). Xiao Yan wil finally help her overcome this condition (but I don't know if the drama will choose another route and give Xiao Yi Xian sad ending instead). Xiao Yi Xian understand that in Xiao Yan heart, there is only Xun Er. She respects that but they still share a mutual close friendship affection. In the novel, Xiao Yi Xian is a very elegant lady, very different with the characteristic in the drama. Medusa is a special case. Actually until they do the deed when Xiao Yan lost control of himself, their relationship is rather hostile. Medusa needs Xiao Yan as an alchemist while Xiao Yan needs Medusa to become his bodyguard (at that time Medusa is a Dou Zong while Xiao Yan is a Dou Ling). Ever since the deed, their relationship starts to change, mainly from Medusa side. Even though Xiao Yan finally married her, it is mainly because of they already do the deed and there is a child to consider. 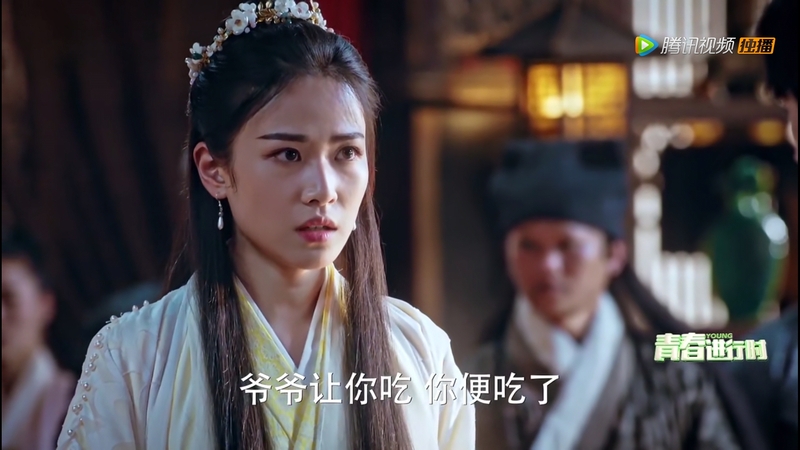 Medusa herself understand that she cannot compare to Xun Er in Xiao Yan heart. For a non-novel reader like me, I enjoy this show a lot for it's quite fast paced and pretty addictive like I keep watching from one episode to another non-stop. So much so I have to tell myself to stop watching for I prefer watching it with subs. I can understand why the producer made changes to the story from the novel. Not every novel could translate well into a drama adaptation. For it can turn out to be boring like Xun Er character that was mentioned as there's not much challenges faced by the protaganist. So novel readers, learn to accept that. For a drama production in mainland China, producers are already encumbered with many restrictions that writing novels would never face. A good story should be adapted into a show for good benefits of wider audience and if they can't get enough of it, they could still turn to the novel or anime for reading pleasure. That's my two-cents! As a non novel reader I don't really care to read the novel I might change my mind, but the novel does not interest me at all. So I don't really care if they change a lot of things from the novel. I'm really enjoying the drama for its fast pace and characters. Does any of you know what he was going to say to Xun Er about the "most important reason" for not getting married? Was he going to say that Xun Er is the main reason why he couldn't really get married to Xiao Yi Xian? Thanks for your info. I've watched to ep 18 and I've totally enjoyed this fast-paced tale, and I particularly like the school. It reminds me a bit of Harry Potter though of course Xun Er is no Hermione- I like the actress and the character's not a pushover but I wish she was developed more fully as a person in her own right independent of Xiao Yan. I kind of like Yi Xian (love her dad), but she's overly clingy. I did take a look at the novel, but maybe It's the English translation because it seemed really bad. I'd wanted to see how Medusa was introduced, and while I would love to have seen more of the Snake People onscreen, the writing in this part is almost excruciating. In some ways, I almost wish there were no romances as I've enjoyed the tests and challenges the most (though I kind of wish Xiao Yan would be bad at or fail at something at this point so he wasn't winning everything - lowers the stakes). And every girl falling for Xiao Yan is a bit boring for a female audience member too. C'mon drama girls, one of you needs to provide him with a challenge! And maybe someone could fall for one of his lovely friends instead of him! It will totally ruin the romance story for me if he marries two girls and leads on another or 3 or 4. I'm fine with him ending up with Xun Er because you can see he feels deeply for her but I want more of a struggle if so and her seeming less of a doormat where he's concerned. She has the potential to be a really good character. Right now they're having alchemy wars, and I think you're right that they should emphasize how big a deal an alchemists is. They do talk a little about it, but not enough. I hope you're enjoying the show despite the differences! I do think I'll get through all the episodes happily with this one - loving the pace, Wu Lei and Baron Chen - so this will be one of the few Chinese dramas I actually finish without skipping the last half to the end. First of all, please don't get me wrong. I am perfectly understand that there is no way the drama can follow the novel in detail and changes are inevitable. All I ask is that the drama should keep important key point of characterization and plot. There are something that the drama must not change because those are the core of the story. For the example: One of the interesting and important point in Battle through the Heavens is the existence of heavenly flame. This is very important because it is directly correlated with the previous Dou Di and the entire of Xiao Yan cultivation method. Linking to this, is alchemy profession. @bluemoony Happy to hear that you also wish that the drama elaborate more on the alchemist prestige. Sadly the drama never made clear that Yao Lao is alchemist first, and then martial practitioner. His student was and is always a student of alchemy. He was a very much respected and famous alchemist when he was alive (one of the best in the world). He literally told Xiao Yan that Gu He is trash in his eyes. And in alchemy, the teaching is never done in a formal school but through personal teaching because the teacher will then pass down his technique and medicine recipe that he/she has accumulated through life to the student. This is a fact that very much stressed in the novel. The very fact that Xiao Yan having Yao Lao as a teacher should tell volume on how his skill in alchemy. Actually Hai Bo Dong is not the father of Xiao Yi Xian in the novel. They are two people with no relation at all. Hai Bo Dong is someone that needs Xiao Yan help as alchemist and as payment Xiao Yan asks Hai Bo Dong to become his bodyguard (forgot for how many years). This is quite an okay change in the drama since I think it would give Hai Bo Dong more significant role. This character is kind of fade away in the later part of the novel, especially when Xiao Yan leaves Jia Ma Empire to central/middle continent.